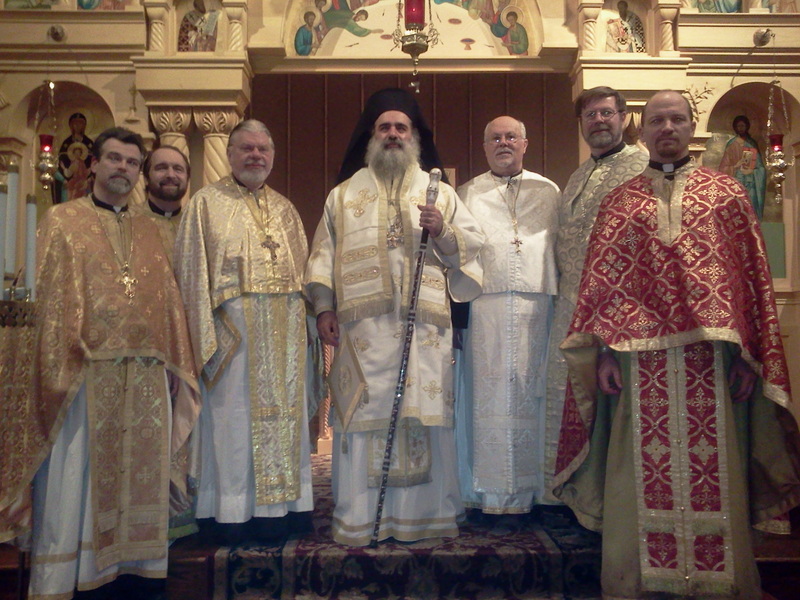 serving with Archbishop Theodosius of the Jerusalem Patriarchate. A blessing. Since I’m the junior Priest (by date of ordination not age) I’m second from the left and behind.